Do you let your kids win all the time? A study says not to. Do you let your kids win all the time? Sometimes I take the easy way out when it comes to my kids. I know deep down I shouldn’t but I do. It happened only the other day. I had Mayfair. The dice rolled and I just knew as that little car drive along the cardboard street it was headed to disaster. When he landed on it I thought to myself just don’t say a word. There that little car sat while I held my tongue. Silently praying he wouldn’t notice exactly how much he owed me. Onwards he passed to Go, collecting his $200 jubilant that he was beating me. Often it’s just easier that way. The funny thing is I have no qualms about beating my eldest son – he’s eight and I happily throw in a ‘gherkins’ (180 points) to his ‘gory’ (8 points) when he and I are battling it out at scrabble. Sometimes I take the easy way out when it comes to my kids. Image via iStock. But with my middle child it’s different. To be honest I am a little afraid that if I do beat him he won’t let me stop. He’s got that competitive streak and will just keep on going, and going, game after endless game until he wears you down and he achieves his goal. He’s a six-year old Lance Armstrong (without you know, the drugs and cheating.) If you beat him it&apos;s at your own peril. So it’s with a little reluctance that I find out when it comes to game playing, I am doing this parenting thing all wrong. Turns out you aren’t meant to let them win. How did I miss that memo? It’s that whole building resilience thing that we are meant to be doing with our children. If we let them win all the time we can actually be undermining their confidence because when the game is up they realise that mum actually didn’t have any belief in them. If you beat him its at your own peril. Image via iStock. The experts tell us to instead only let them win sometimes. He does say it&apos;s okay to sometime let them win but not all the time. Well that’s all very fair – and all very good for those other kids out there but what if your child thinks they ARE Tiger Woods? Charlotte Reznick, author of The Power of Your Child&apos;s Imagination: How to Transform Stress and Anxiety into Joy and Success, says that some children focus more on the game play and others zero in on the win. 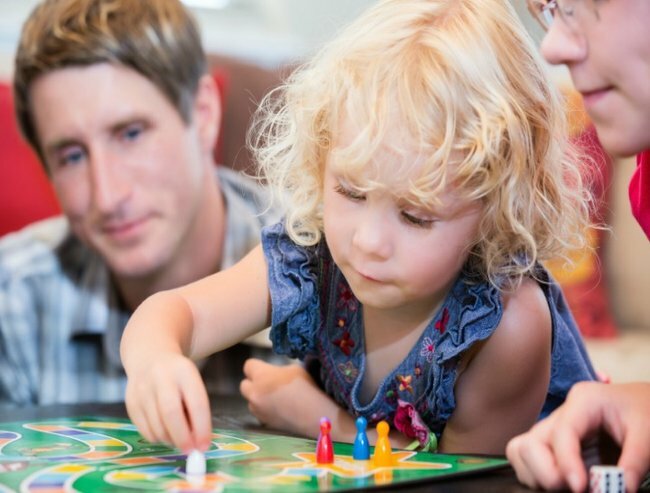 "When playing a game with your child, the question of whether or not to let them win depends on their age, temperament and social skill set," she said. If I had been asked myself six years ago, I would have probably thought it was a great personality trait. I would have thought it was a way to raise a champion, that there was nothing like a bit of healthy competition. And then I had my son. In our house of two boys and a younger sister everything is a competition. By that I don’t just mean monopoly or tennis. I mean everything. Who can get home from school first? Who gets the longest banana? Who can run the fastest, who can kick the furthest, who gets in the car first, who gets out of the car first and who can pee the furthest. I have vowed that whether it be soccer or tennis, noughts and crosses or Monopoly I will stop letting my six-year old win. Image via iStock. It’s healthy and normal and bloody exhausting to be their mum. So sometimes if they are competing against me I just find it easier to slack off a little, to give in a little, to let them snap the cards first and spell the word on the spelling bee show before me, just to keep the peace. But have I in all my time of just trying to get through the day without tears or tantrums or constant bloody re-matches, been unintentionally harming my boys? So I have vowed to embrace the challenge and let my inner winner takes it all attitude come forth. I have vowed that whether it be soccer or tennis, noughts and crosses or Monopoly I will stop letting my six-year old win.